Grocery Raja delivers high quality farm fresh vegetables to your door step. Now, why waiting? 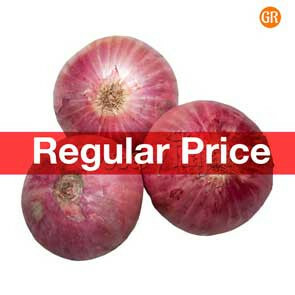 Do online vegetable shopping and see how much you are saving. Tomato: Tomatoes are juicy and delicious and almost all of our Indian, South Indian masala foods will include tomatoes. We can eat them raw and its also good to eat cooked. Tomatoes are also used to make sauces which is a good combination with samosa's, fried rice, noodles and much more. 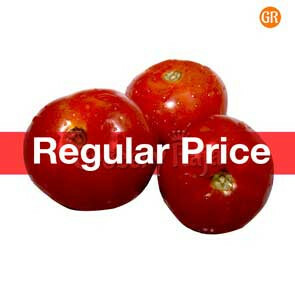 When you do Online Vegetable Shopping, do not forget to order tomatoes. Do not worry about quality, we hand pick them so you can store them for a long period. Potato: Potatoes can be smashed, baked or roasted and can be eaten as snack or can be used to make delicious curry for chappathi's and poori's. Potatoes can also be used to make crispy chips using different flavors and yummy french fries. 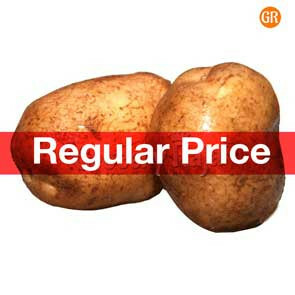 Do online vegetable shopping to order fresh potatoes and make your breakfast, lunch or dinner extra ordinary everyday. Carrot:Carrots are rich in Vitamin A which helps to improve vision. It also protects your skin from dryness and wrinkles. Carrots can be used to make sambar and sabji. It is also used to make mouth watering carrot halwa. Shop some carrots today and try cooking at home and keep your body benefited. Beetroot: Beetroots are very good source of fibre which help in digestion and lowers the cholesterol level in your body. It also prevents constipation and stimulates liver functions. Beetroot juice is good in controlling blood pressure and has many more flavorable effects on your body's health. Beetroot juice mixed with honey and lime is a very good morning recipe which you can try it out at home.